With a landslide victory, Nizar Baraka was elected new Secretary General of the Istiqlal Party, succeeding his archrival Hamid Chabat. 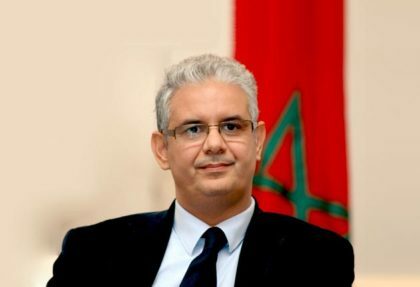 Nizar Baraka, current head of the Economic and Social Council and former Finance Minister, won the elections by 924 votes against 234 for his rival Hamid Chabat during the 17th ordinary meeting of the oldest party in Morocco. The election of Nizar Baraka closes a chapter in the party’s history marked by setbacks in the latest general elections and internal strife, which put the party on the brink of collapse. Often viewed as a “man of consensus” and a figure well versed in the government machinery, Baraka first joined the Istiqlal Party in 1981. He served as finance minister from 2012 to 2013 after years as minister of state for economic affairs. Baraka is currently chairman of the official Economic, Social and Environmental Council, a position that he has to abdicate in favor of his new role as Secretary General of a political party. The new Secretary General of the Istiqlal party was distinguished in 2013 as the Minister of Finance of the Year for the Middle East and North Africa by the “Emerging Markets”, a reference magazine of the World Bank and the International Monetary Fund. The party members pin high hopes on Baraka to lead the party to achieve better results. With 46 seats in Parliament, the Istiqlal Party was easily put aside by the current governmental coalition especially after the RNI conditioned its participation in the PJD-led government with the exclusion of the Istiqlal party.